Affrezza is an insulin inhalation powder created by MannKind quite a while ago. In fact, the treatment was approved in late 2014. Unfortunately, when the treatment was approved, MannKind contracted the commercialization of Afrezza to a company known as Sanofi. The reality is that Sanofi had its own competing treatment. So, if it properly commercialized Afrezza, it would lose money in the long run. Naturally, with this in mind Sanofi decided to drag its feet through the first year of commercialization, leading to poor sales volume, and ultimately massive declines on the value of MNKD. Nonetheless, in January, MNKD announced that its agreement with Sanofi would be coming to an end. This was great news as it would allow for MannKind to start commercializing Afrezza in a way that would be beneficial to MNKD and its investors. Commercialization Partners – MNKD announced in January that it would be looking for new commercialization partners to help Afrezza get to the next level. So, I’m expecting to hear more about their efforts on that front. Specialized Diabetes Care Centers – In January, MannKind also announced that it would be teaming up with specialized diabetes care centers around the United States that would be treating diabetes in real time with Afrezza. I’m expecting that we will hear more on the progress with regard to this relationship. Other Commercialization Efforts – For more than a month, we haven’t heard much about commercialization efforts surrounding Afrezza. So, I’m expecting to hear about new ideas that will help push the treatment into profitability. As mentioned above, its clear that investors are excited about the conference call that will be coming soon. When looking at the company’s stock, you’ll see that MNKD gained more than 25% yesterday, and that the gains seem to be continuing. Currently (12:26), MNKD is trading at $1.74 per share after a gain of $0.22 per share or 14.61% thus far today. 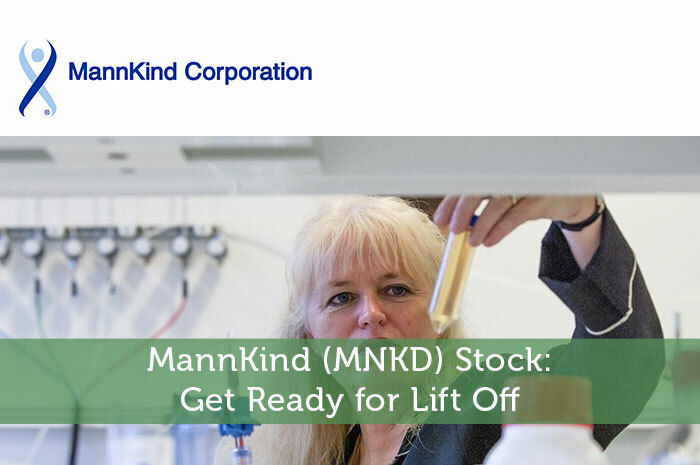 Moving forward, I have an overwhelmingly bullish opinion of what we can expect to see from MannKind. Now that the company has full commercialization rights to Afrezza, I’m expecting to see strong, positive movements in sales that will push the company to profitability. In the long run, this stock seems like a strong play.